As I’ve said before, here at the Echinacea Project we rely pretty heavily on the work done by our volunteers. That is why I am so excited to introduce you to the newest member of Team Echinacea: Priti! 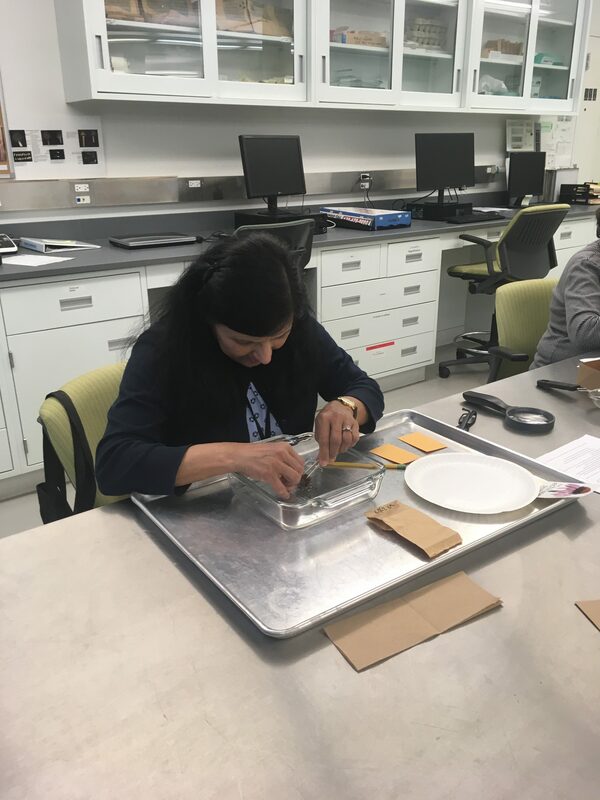 Priti has been working in the seed bank here at the Plant Conservation Science Center, but has just started working our lab today. Priti will be joining us on Fridays to clean heads — the first step to processing echinacea heads, and one of the most important. We’re thrilled to have Priti as part of the team!